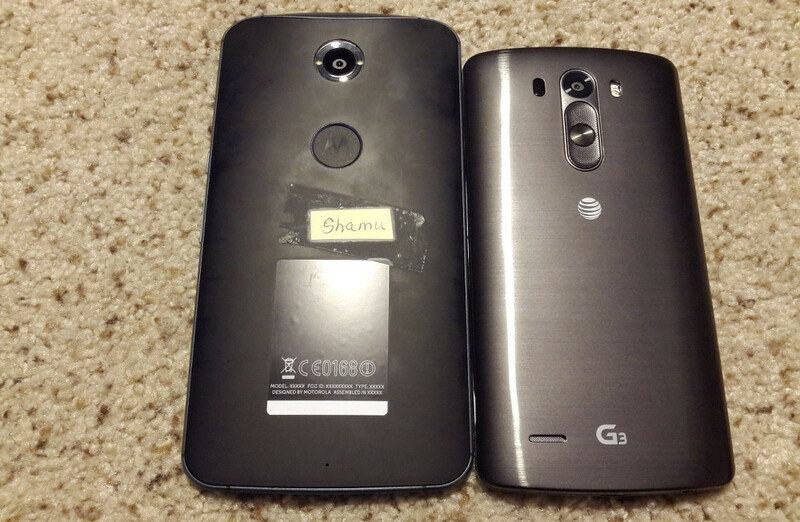 So, is This Motorola’s “Shamu” Nexus Looking All Sorts of Massive Next to a G3? Umm, I don’t know if it is. Either way, the phone pictured is a massive Moto X-looking phone next to the LG G3, which is already a massive phone, and absolutely stomping all over it. Is this the Motorola Nexus aka “Shamu” aka Nexus 6 aka Whale Wars aka Free Willy aka please-don’t-make-this-Google-it’s-too-freaking-massive? You tell us. Edit: Apparently, the photo showed up in our comments and Android Police’s at some point this morning. The anonymous “Guest” claims that it is coming to Verizon. Interesting, to say the least. I still don’t know what to make of it.